Starbucks: FREE Tall Handcrafted Espresso Beverages from 1PM to 2PM at Participating Locations! 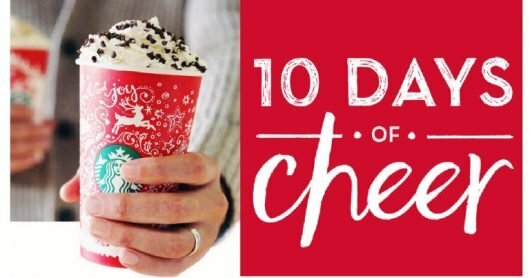 December 23 through January 2nd, Starbucks is offering 10 Days of Cheer and offering a FREE Tall Handcrafted Espresso Beverages from 1 p.m. to 2 p.m. at 100 locations every day (with the exception of Christmas Day). Head over here to find a location near you!! !